SUMMARY:  Oz plays his guitar while Willow listens in. and the WB. No copyright infringement intended. DEDICATION: To Robert, whose story inspired me to write this. 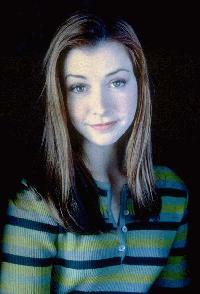 "Time Stops For Willow, Too"
Willow Rosenberg hurried down the empty high school corridor. and had to return to her locker. the beauty of the melody. surrounded her, flowed through her, and she became part of it. as though deep in thought. almost as if time *had* stopped while she stood there listening.